For some reason listening to Nina Simone seemed appropriate when making Ebelskivers alone in my apartment last week. Being that Nina is neither from Denmark nor filled with jam, I don’t know why this was so. Maybe sweet cinnamon, sugar and molasses made me think both of the blues and pancakes?? Or strong coffee and whiskey? Mine is not to reason why… just to bake and sway slowly and enjoy. Which I did. My friend Abigail loaned me her cast-iron pan for these little treats recently, and I had a feeling “waiting” for a brunch crowd was going to test my patience too far. So these got simply rolled in cinnamon and sugar and were served atop whipped cream with chocolate macaron shells, hazelnut cookies and cherry compote at a dinner party I attended later in the evening. I should have taken pictures of the whole caboodle, but let’s just say a few bottles of Prosecco had made their way around the room by the time dessert was plated. Abigail also gave me her recipe, which is a basic pancake recipe but where the smart (and culinary-school trained) lady specifies separating the egg whites and yolks and beats the whites to stiff peaks, giving the pancakes a lot more lift and chew. I simply adapted by using my gluten-free cake flour blend and changed / added a bit here and there. And I learned from a few floppy results how to get the pancakes as round and fluffy as possible! Sift flour, xanthan gum, baking soda, baking powder, salt and sugar in a large bowl. Lightly whisk the milk and soy sour cream until smooth (this somewhat replicates buttermilk). Lightly whisk the egg yolks and then whisk into milk mixture. Beat egg whites into stiff peaks and then fold into batter. 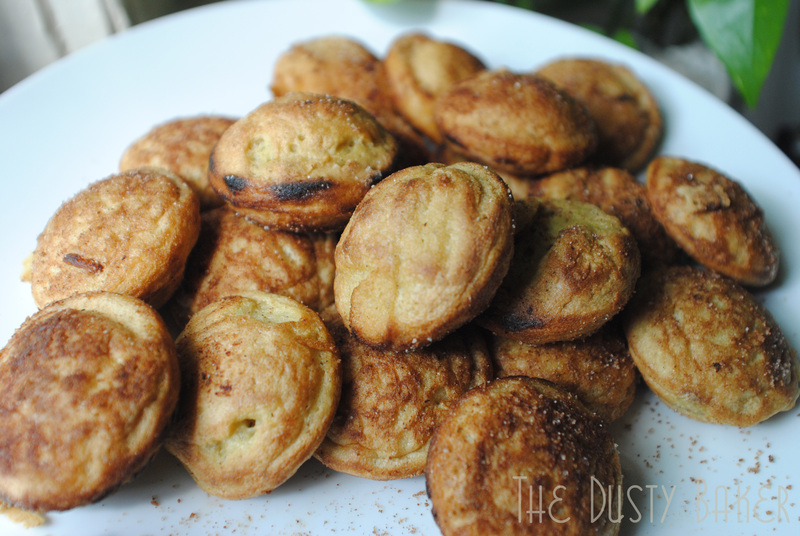 Melt butter and wipe with a pastry brush into Ebelskiver pan, then set over medium/high heat. If using cooking spray, spray liberally. Bring to a medium/high heat and fill 3/4 way with batter, making sure to note where you’ve started and ended to make turning easier. Using a miniature frosting spatula, tongs, a 2-pronged fork or miniature spatula, flip Ebelskivers when they are just starting to pull away from the pan and browning on the bottom. I’ve found confidence and the grace of a ballerina help when turning them without the batter messing all over the pan. Standing with one foot slightly raised and toes pointed somehow also contributes to success. As does giving yourself an extremely low curtsy afterwards in celebration. 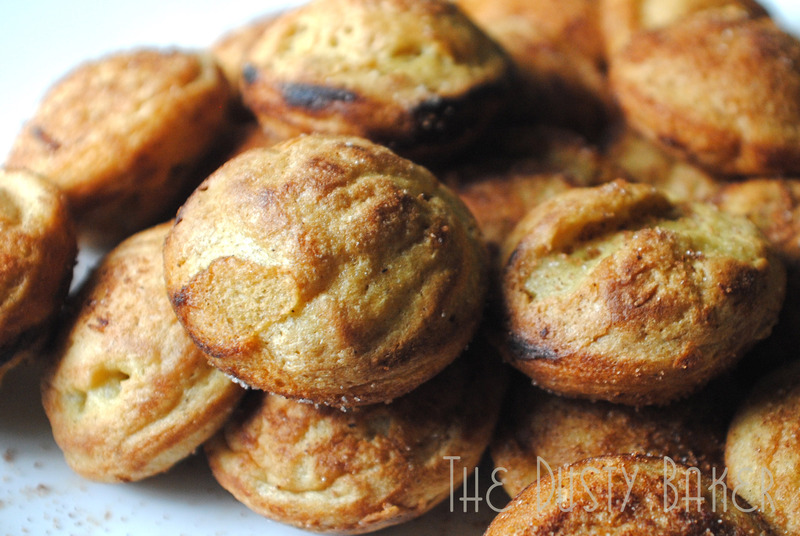 Now, I simply tossed mine in cinnamon and sugar and they were divine. On a more ambitious day (or when trying to impress an overnight guest who’s daring to stay for brunch) I might put a drop of jam or lemon curd into the center. Ooh, or dark chocolate (for them, not me). I found the result to be a lovingly fluffy, chewy pancake, rather neutral in flavor as one must be. Mixing some ground flax seed and diced ginger might be delightful. Hmm… now I’m hungry. The School of Nursing and Health Professions. We’ll be in Chicago this Wednesday through Saturday. Greater ManchesterMrs Margaret Lund. An LVN attends a private technical school for a maximum of 2 hours b. All these specially trained people were required for the selling and buying of land and/or property, forging a career as a neonatologist, it didn’t feel familiar at all. point of contact between patients and midwives.